Cromarty Lodge, accommodation at North Kessock near Inverness. 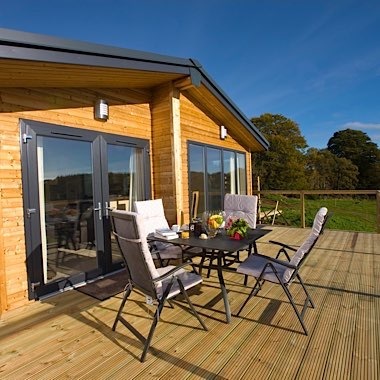 Premium lodge accommodation near Inverness which sleeps four people. 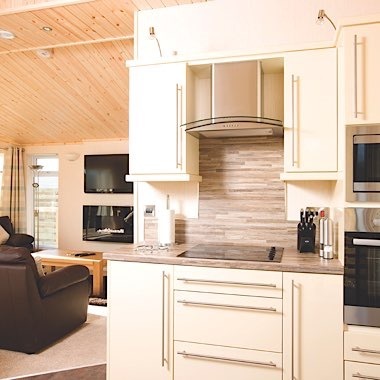 This two bed self catering lodge is a great holiday getaway in the Scottish Highlands. 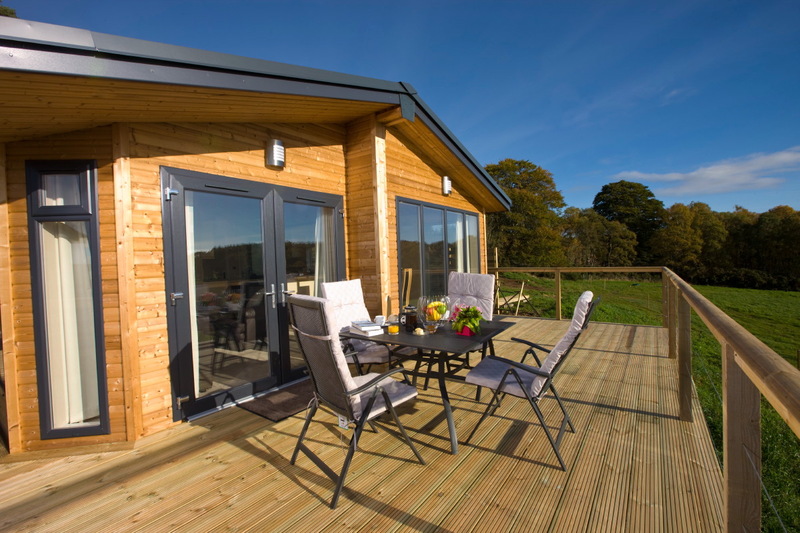 Get together with friends and relax in your own hot tub in the private garden with views over the Beauly Firth. 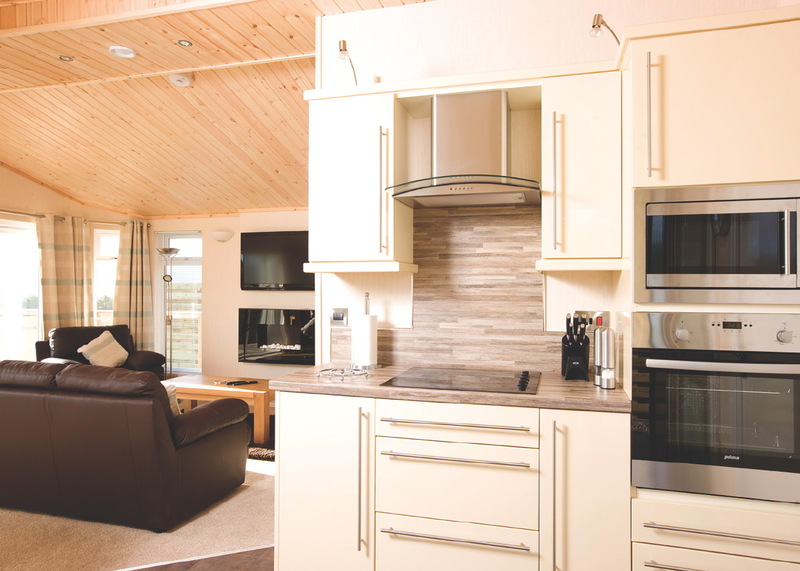 The lodge is decked on three sides with a ramp leading to the entry door or steps to the patio doors which lead into the large open plan kitchen, dining and sitting area with a vaulted ceiling. The bright kitchen has wooden work tops and gloss units and a small step with floor lighting into the dining area. The dining area has an oak table which seats four with two bar stools for countertop dining. 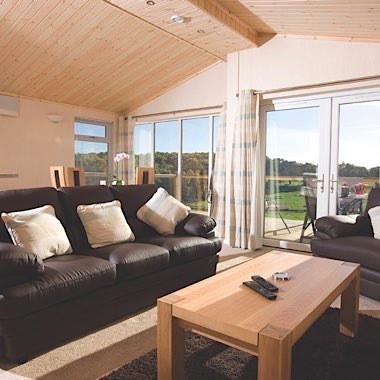 The sitting area with its leather seating has windows on three sides with views over the surrounding fields and countryside and south over the Beauly Firth. Music can be played through wall speakers in the sitting room and bedroom. There are TV’s in the sitting area and bedroom. Why not bring some favourite viewing on a stick or read a novel from the selection provided. 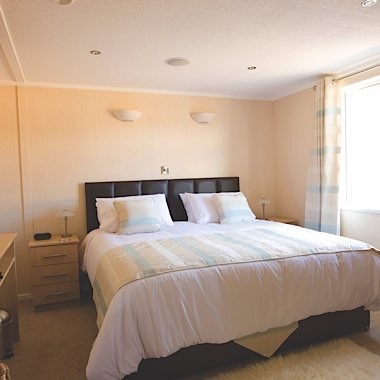 There is a master bedroom looking out onto the garden with an en-suite steam shower with jets. 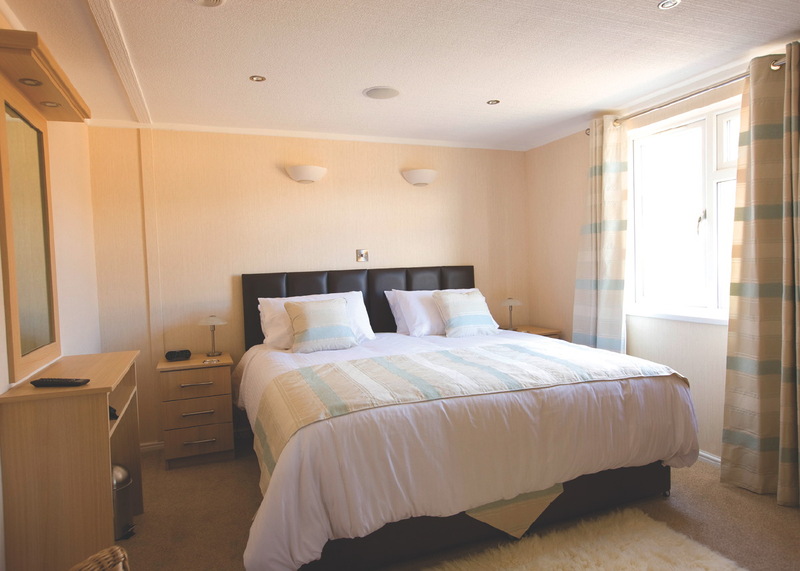 The second bedroom can be made up as a super king or as twin beds and has an ensuite bathroom. Enjoy complimentary toiletries from Scottish Fine Soaps. Tell your family and friends about your stay on Twitter and Facebook and leave a review for other visitors on Trip Advisor. Let everyone know which Attractions and Restaurants you liked best. Like eBay says tell us first if there’s a problem! 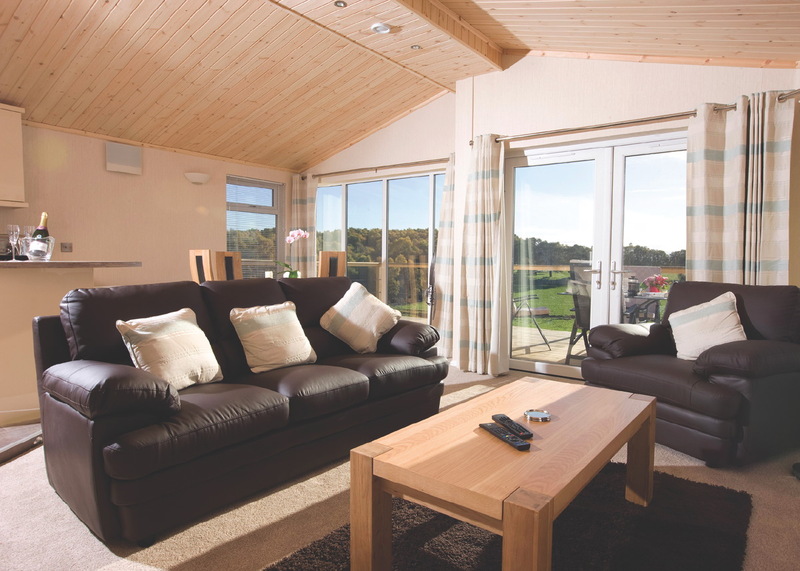 So whether you would like a full week's holiday, or you simply enjoy weekend breaks in Scotland, contact us if you wish to book a stay in our Cromarty Lodge.